She cleans up pretty good, right. It's funny, actually, because we have quite a few changes planned for this room - it's just a shame we couldn't make them happen before the dinner club festivities. Always seems to be the case, doesn't it? Change number 1: finally reupholstering the head chairs I received from my parents when they downsized a couple of months ago. 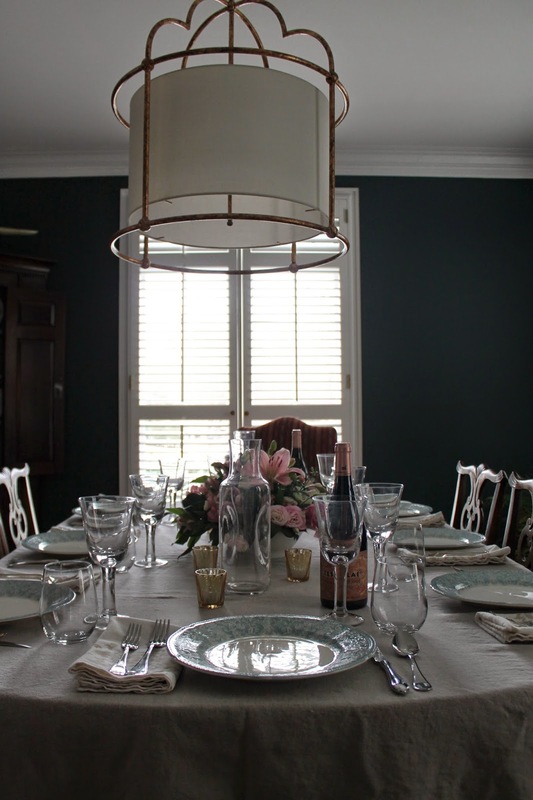 Read about the chairs here and the fabrics I had chosen at the time. I really had my heart set on a turquoise velvet for the head chairs, but after several attempts resulting in few good options I decided to change direction. 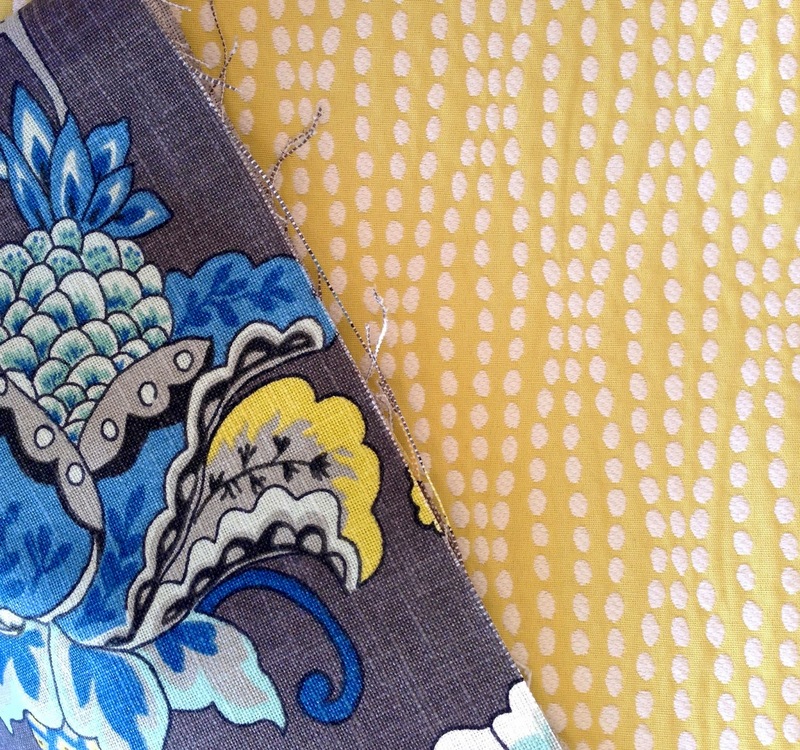 When creating a fabric scheme, I'm a fan of highlighting a smaller accent color, which is how I ended up with this spotty citron beauty. Obviously, citron is a big pop of color on it's own, but paired with the dark jade walls in our dining room - I think it will make quite the statement. I can't wait to see it all come together.